Branching out to cover all surfaces, Axolotl surfaces are available as a highly unique, unparalleled flooring solution. Textured surfaces provide resistance to slippage whilst the durability of the metal makes it an ideal material underfoot. Combine a standard or bespoke texture with any Axolotl metal to create a distinctive feature surface. Axolotl metal can be bonded to timber panelling to allow the wood grain to read through, creating a striking alternative to standard timber floorboards. CFC panels manufactured to virtually any size can be coated eliminating size restrictions and enabling a cohesive aesthetic. Axolotl glass flooring is designed to meet the most demanding requirements in both residential and commercial projects. 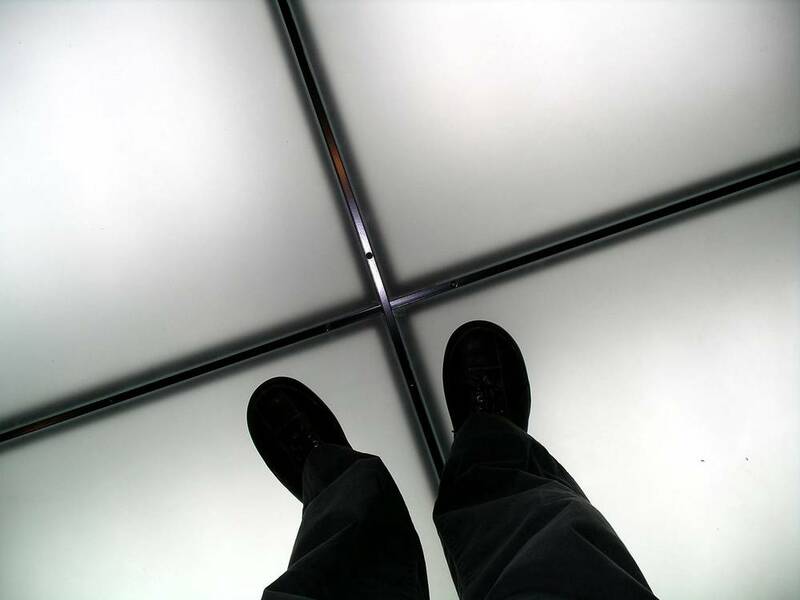 Glass floors range in thickness from 25mm through to 47mm, depending upon the application. Small insert panels or stair treads can be a double laminated construction with a formed top surface, liquid resin interlayer and/or a clear or matt blasted bottom layer. Large panels for a complete room can be constructed from triple laminated glass with a clear or opaque interlayer. All glass flooring features a non-slip top surface to meet Australian Standards.